With polls showing that nearly seventy percent of people under the age of thirty support marriage equality, it was only a matter of time before an openly gay college star entered the draft of a major sports league. 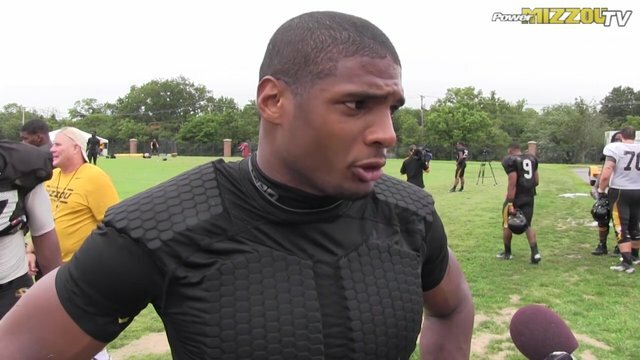 That happened today when University of Missouri’s Michael Sam, the SEC’s Defensive Player of the Year, announced he was gay and will try to play in the National Football League. 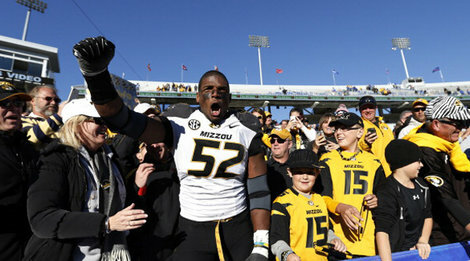 Standing 6’3” 260 pounds, only pure bigotry would keep Sam from being drafted. Of course, no team’s management will outright admit to blacklisting. I suspect that many owners will parrot a YouTube video commenter, by using the language of cold, sterile business-speak to mask bigotry. First, the idea that Sam will be a distraction that would harm the team’s unity is preposterous. NFL teams always have controversies and side dramas that rarely stop them from thriving. The most vivid example is Seattle Seahawks defensive back Richard Sherman, whose tirade against San Francisco 49ers wide receiver Michael Crabtree dominated the headlines leading up to the Super Bowl. Indeed, it is difficult to think of a bigger distraction that took the focus away from the big game — yet Seattle crushed the Denver Broncos 48-8. Second, it is laughable to suggest that players won’t work hard and would risk their lucrative careers because a gay man is on the team. With an average NFL career little more than three years, the idea that players aren’t going to give it their all on each snap is downright foolish. Third, if the young college players and coaches at Mizzou had the maturity to accept Sam, earn a 12-2 record, and win the Cotton Bowl, the adults in the NFL ought not to have an issue. Such comments go to show that if dissension is caused in the locker room, it won’t likely be from Sam, but other players who are expressing bigotry at the expense of the team. A good coach who teaches discipline can put a stop to this nonsense and ensure a safe work environment for all players. After all, isn’t the NFL referred to as “professional” football? Those who can’t behave like businessmen in an adult workplace do not belong in the league. Sam received support today from President Obama, but so did Jason Collins who tried to become the first openly gay active player in the National Basketball Association. Unfortunately, prejudice prevailed and no one picked up Collins, who was a free agent. This is outrageous considering the inferior product the NBA Eastern Conference has put on the court this season. Couldn’t an underachieving, boring team going nowhere fast, such as the New York Knicks, sign Collins to a contract? The Knicks (20-31) are a sorry group that is 27th out of 30 teams in rebounds and is regularly showered by boos at Madison Square Garden. The Knicks could use the seven-foot Collins to help with their subpar rebounding, as well as add some excitement by breaking an historic barrier in an otherwise forgettable season. Of course, it is easy for NBA general managers to claim that Collins’ age – he is 35 – is the reason for their lack of interest (and for some teams it may even be true). However, Sam is an accomplished NCAA athlete at the peak of his athletic powers. If he isn’t drafted, he should sue the NFL for discrimination. His lawyers could create a chart showing that virtually all college players of similar size and on-field accomplishment were taken high in the NFL draft. Finally, it is outright bizarre that some players, scouts, and management will claim that locker room homophobia is necessary for team cohesiveness. How has loudly proclaiming that one does not sleep with men and dehumanizing those that do lead to successful teams? If anything, such bullying and ignorance puts off more intelligent teammates, who simply go along with the stupidity to get along. Having a player like Sam will finally free players with higher IQs to state how they really feel about childish anti-gay slurs and locker room bullying. It is time the NFL grows up and demands players and coaches stop spewing anti-gay offensive lines, while making it clear that Sam must get his chance to prove he can play on the defensive line.